At some point as he was juggling the bowling balls of a full class load at USD and 30 hours a week working as an analyst at Apple, Tyler Norris saw the light. Or more precisely, the sun. What Norris really wanted was to “put the soul in solar” by harnessing the power of the sun for a greater good. Norris enlisted his friend, John Moran, along with Tyler’s dad, John, to build a cart powered exclusively by solar panels to vend acai bowls. (There is a certain irony that solar power is used to keep the contents of the cart chilled. For the uninitiated, acai is a yogurt-and-fresh-fruit thing; ya gotta keep it cold.) Norris set up shop near the turnabout between Maher Hall and Warren Hall, and Soulr was born. The Soulr Cart won the Social Innovation Challenge at USD and the $10,000 prize that came with it; another $10,000 came with winning the top spot on the O Network show Quit Your Day Job. Those awards provided investment capital and attracted the attention of outside investors, which helped lead to a more ambitious business plan. 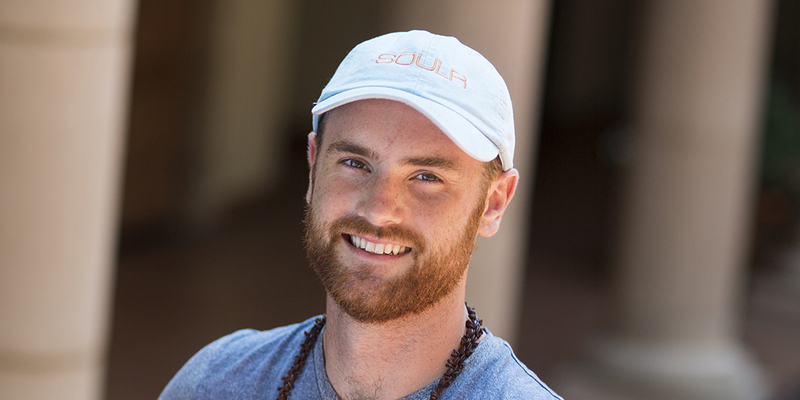 Norris dreamed of creating solar platforms for other purposes than vending acai bowls. For example, Norris says, Soulr constructed a 4 x 6-foot trailer to power the water pumps, lighting and ventilation for a greenhouse some 50 yards long. Norris’ concept of using solar platforms for the greater good took on a new meaning after Hurricane Maria devastated Puerto Rico. Norris and Master of Social Innovation student Eric Gersbacker began talking about getting social impact teams on the ground to help those affected in the storm’s aftermath. What began with a solar cart vending acai bowls has taken on a much bigger life of its own. The next step for Soulr, Norris says, is creating component and kit-based off-grid solar platforms that meet an even wider variety of needs.